Our clients have long appreciated the value of negotiated construction contracts and the associated contractor involvement during a project’s early stages. Over our history, more than 75% of our projects are consistently negotiated using a Guaranteed Maximum Price (GMP) contract. The benefits of this approach are enhanced as the complexity of building systems increases and difficult sites and other uncertain existing conditions are encountered. Over the years, the strong conclusion WALSH clients have reached is that the negotiated contract method provides the best value, the lowest risk and highly competitive pricing. Most of all, it produces an outstanding finished product in a cooperative, collaborative manner. Our extensive history with negotiated projects has allowed us to develop highly productive methods through all phases of construction. Our past performance in negotiated projects is extensive. Over 80 projects worth more than $800 million completed using negotiated contracts. Performed under complex conditions with high public visibility and participation. Nearly 95% of our work is negotiated with predetermined budgets set before completion of design, 80% of it with repeat clients. In the past five years, 80% of our work has been for universities, housing authorities, and other public and non-profit entities, using negotiated or GMP contracts; 25 of these projects were for colleges or universities. 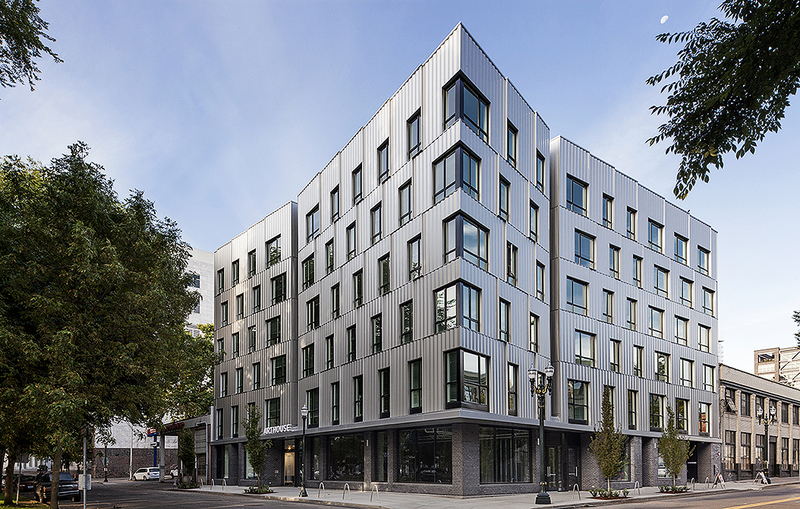 $895 million of multi-unit housing in the last five years, more than any other Northwest contractor. Multi-unit housing accounts for 87.5% of our total work over the last 10 years.